23 Digital implemented a custom digital strategy to help MDTdesign increase rankings and traffic. 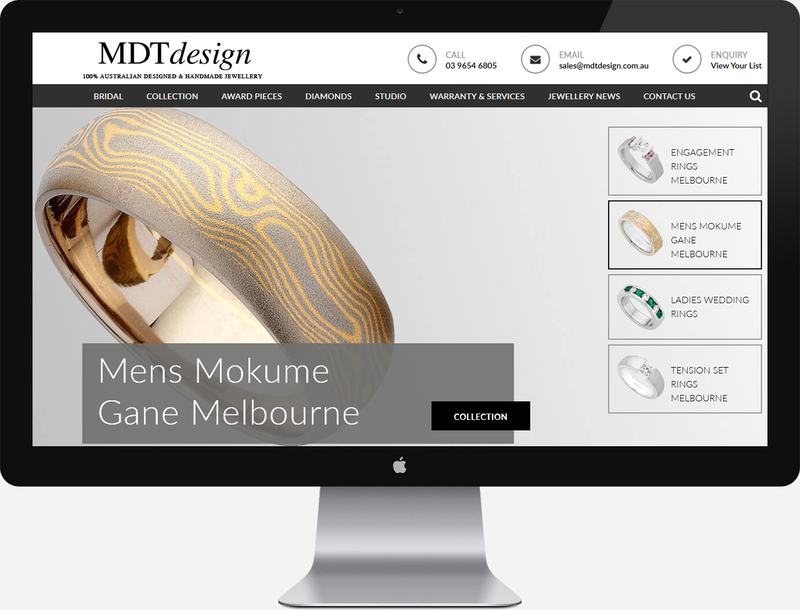 Situated in the heart of Melbourne CBD, MDTdesign is a designer and creator of stunning handcrafted rings, pendants, earrings and other pieces. 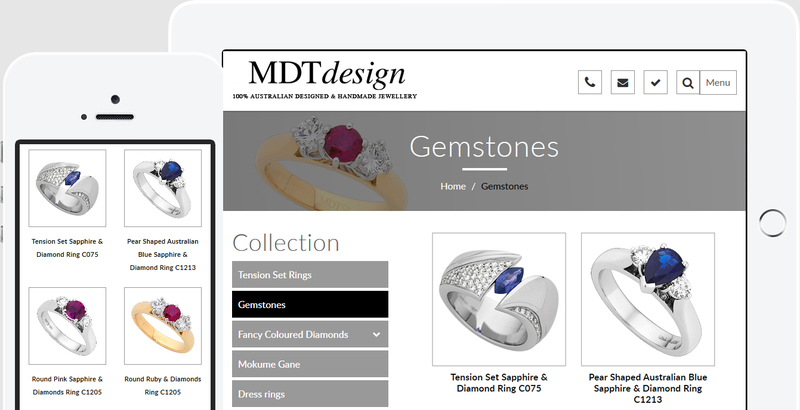 From custom made engagement rings through to jewellery featuring precious metals and stones, MDTdesign’s 100% Australian designed and handmade jewellery is sure to impress. 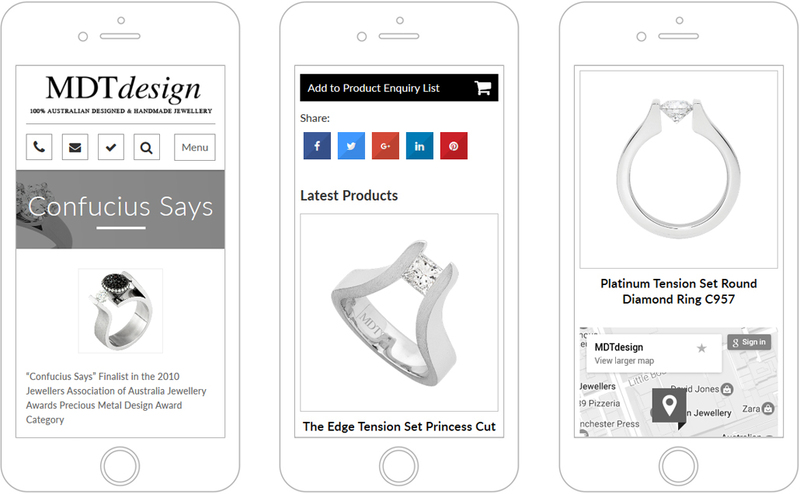 MDTdesign wanted to increase rankings and improve their web presence. 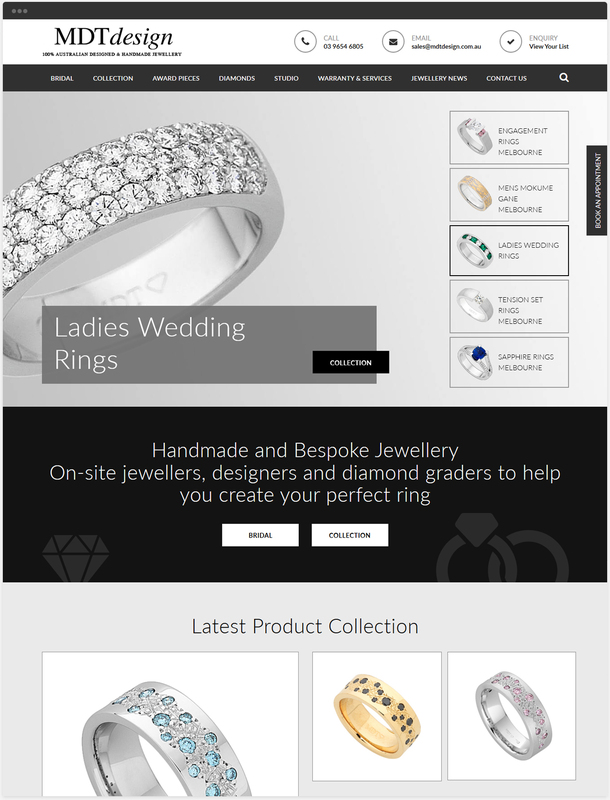 To achieve this, 23 Digital created a fresh website design to showcase the business’s products. We also implemented a custom digital strategy that incorporated website content, search engine optimisation, and tracking and reporting. The result is increased rankings and traffic, helping to expose the business to a higher number of potential customers.